A great day. 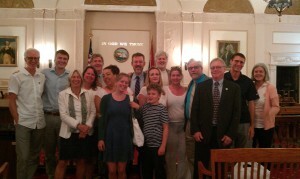 The Kingston Common Council sends the Water Powers legislation to the Mayor’s office for a final signature. The decision to do so was unanimous after each reading (there were two). This week, many anticipate the scheduled public hearing on the Water Powers legislation on Thursday, July 23rd at 10:00am at Kingston City Hall Council Chambers (this event will be filmed). 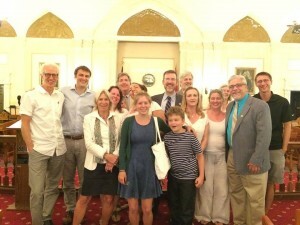 It is the final step in the process that would include both “the Common Council and the Mayor of Kingston for any water sales outside of the City of Kingston’s corporate boundaries.” It is expected that the mayor will sign off on the legislation on Thursday, sending it to the ballot as a referendum in November for the public to decide. It’s our water. We are INVOLVED. As it is currently written, Water Powers in the City of Kingston’s charter excludes an elected body (although the Mayor of Kingston does sit on the water board of commissioners) in decision making on how the public’s water supply is sold outside of the city of Kingston. The public’s most valuable resource therefore is in the hands of about five-six people. If the public votes in favor of the referendum this November, water sales outside of our corporate boundary will be made with the inclusion of Kingston’s common council. This action will allow the City of Kingston a ‘seat at the table’ in the case of a SEQR review, something that we did not have and that was terribly frustrating last year. The inclusion of the common council for water sales would give our community a ‘discretionary decision’ to make as an involved agency in SEQR (we were only an ‘interested agency’ last fall and as you might recall, we had to fight tooth and nail for it. That hard won status still gave us little to no authority). As an ‘involved agency’ we would have a say in determining who the ‘lead agency‘ in SEQR would be, creating an important opportunity for the collective community voice. Provide the lead agency with observations and concerns about the proposed action and its potential environmental impact so the lead agency may consider them in making a determination of significance. When a lead agency has made a negative determination of significance (negative declaration) each remaining involved agency may make its final decision on the action after completing any other required procedures. Prepare the involved agency’s own separate SEQR findings before making its final decision. An involved agency can also influence the determination of significance by the lead agency. All involved agencies are encouraged to submit comments during the coordination period. Comments that deal with an agency’s specific area of interest or jurisdiction are especially appropriate. It’s an important safeguard, particularly when municipal water is involved. The City of Kingston is fortunate for many reasons – one of which is that it has its own water source. In amending the charter and including the common council as a determining body in water powers, some are concerned of political antics intruding upon their sales. But this inclusion isn’t about personalities, as council members and those in executive office come and go. This is about making certain that policy and the law are applied for decision making as it pertains to our water and water infrastructure. In the spirit of community and in seeing our region prosper, with proper oversight, good science, climate change modeling and all other matters we can help to support sustainable economic development while placing the health of our watershed and the impacted communities first. In less than a year from the time that we first heard and spoke out on our concerns of the Niagara Bottling Company’s proposal in the Town of Ulster, the public will have the opportunity to make itself ‘involved’ in water sales outside of our ever changing community, a voice in the protection of our water supply today and for future generations. Last night, the Kingston Common Council unanimously passed through an amended Water Powers resolution. We will be following up with the Mayor’s office to get a date on the public hearing that is to occur in the next 10 days (the Daily Freeman reported 20) so that you can organize your schedules in advance to attend. This – after ten months – will be the last meeting of this sort and ask prior to the November ballot. “We are pleased to witness the second reading of the amended local law regarding Water Powers to include the common council in municipal water sales outside of Kingstons corporate boundary this evening. Once passed, the legislation will be on its way to a referendum and a public vote this fall. Shortly after February 13th of this year, when the Niagara Bottling Company choose not to locate to the area, our community was left with an opportunity to examine our charter and to consider who was to be included in the decision making process for water sales outside of our community. 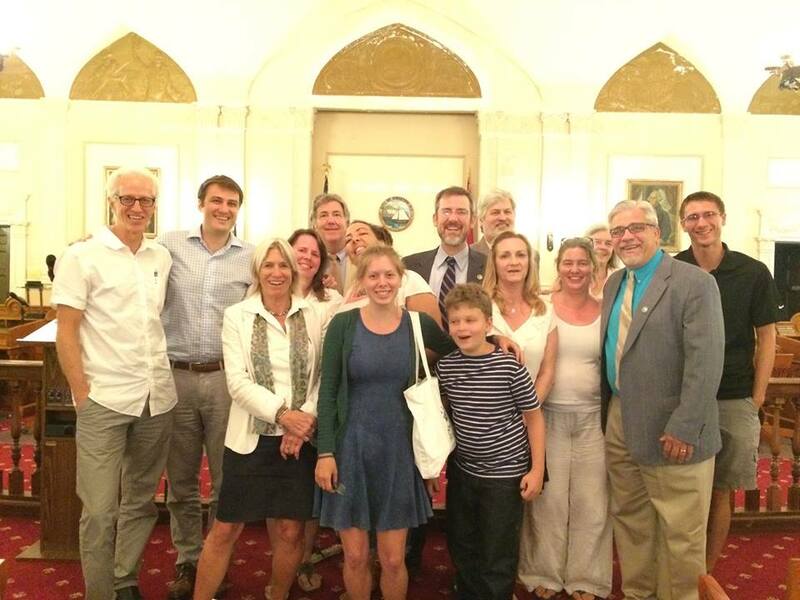 Since then, KingstonCitizens.org and our great partners – some of which we am pleased to say are here tonight – have had the distinct pleasure to support you, our common council, as you have taken a very important step in identifying a solution to effectively protect the interests of the public whom you represent. You understand that the more eyes that are watching, the more minds that are aware of how their government functions – the more likely we can expect transparent outcomes. Thinking about water and our watershed together as a people and elected/appointed body is new for our community. Some are calling it historic. That, is now a part of your legacy and its something to be very proud of. SECOND READING, COUNCIL SPEECHES. RESOLUTION PASSES!